Clarivate Analytics cited reasons for Epson’s inclusion in the top innovators list including the fact that Epson regularly files high volumes of patent applications and had good success this year in converting these to granted patent rights. They also showed improved performance in global filing of inventions filing more within the Quadrilateral authorities (US, Japan, China and Europe) than last year. Epson holds many patents globally and is working with patent agencies in 20 countries or more at any given time. 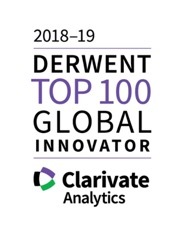 Clarivate Analytics analyses intellectual property and patent trends based on proprietary data to determine the world’s most innovative corporations and institutions. The analysis covers four main criteria: patent volume, success, globalisation and influence.